Explanation: The universe is filled with galaxies. But to see them astronomers must look out beyond the stars of our galaxy, the Milky Way. For example, consider this colorful telescopic view of spiral galaxy NGC 6384, about 80 million light-years away in the direction of the constellation Ophiuchus. 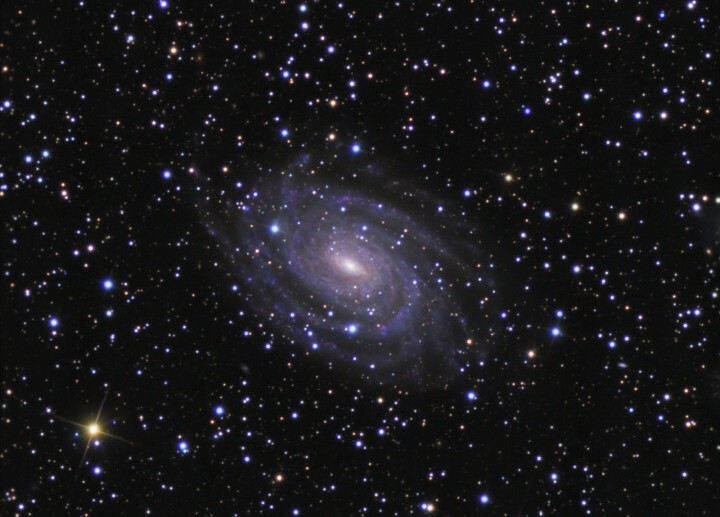 At that distance, NGC 6384 spans an estimated 150,000 light-years. 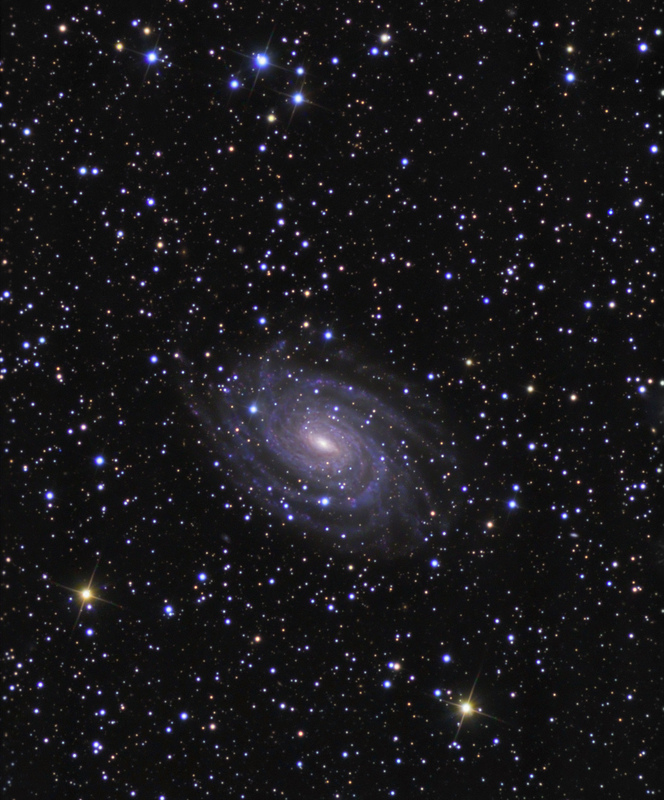 The sharp image shows details in the distant galaxy's blue spiral arms and yellowish core. Still, the individual stars seen in the picture are all in the close foreground, well within our own galaxy. The brighter Milky Way stars show noticeable crosses, or diffraction spikes, caused by the telescope itself. This particular field of view is about 1/4 degree wide and is relatively rich in foreground stars because it looks out near the crowded center of the Milky Way.